Welcome back to my blog, I hope some of you are enjoying some nice warm weather. Unfortunately it has yet to arrive in Montana. 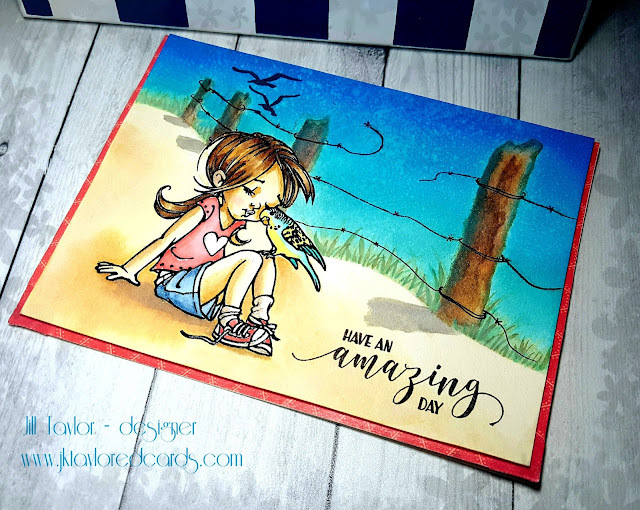 But I am dreaming of warmer weather and so my card is a depiction of just that!! 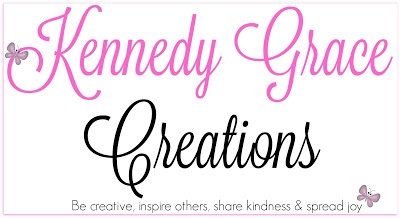 I am also a Guest Designer this month for The 7 Kids Crafting Supply Store. They have so many fun products to choose from. 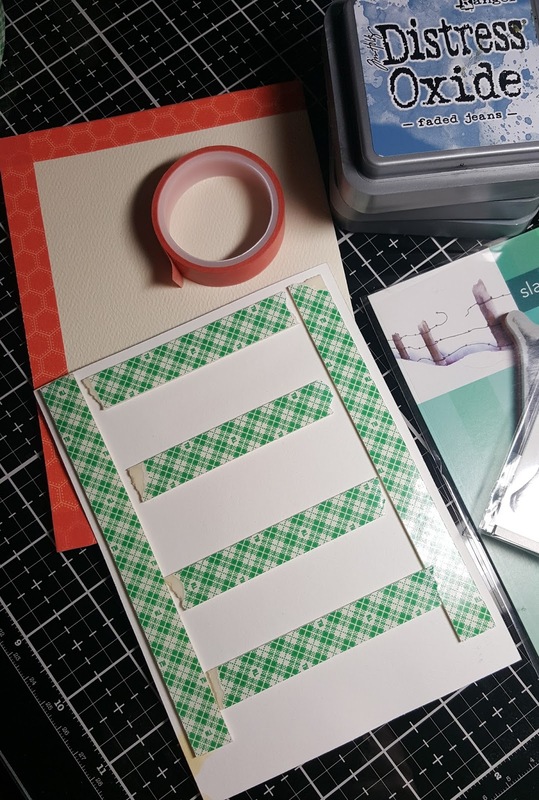 This time I chose some Penny Black stamps (one of my favorite stamp lines) as the focal images on my card. 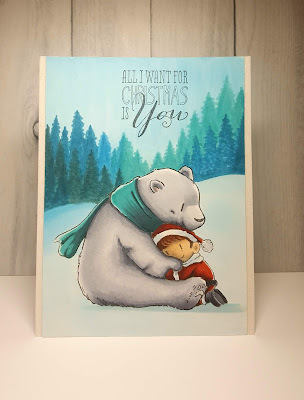 I used both Distress Inks and Oxides to watercolor this card. I used my Tim Holtz Stamp Platform to stamp the images on my 140# Hot-pressed Arches watercolor paper. I first stamped the PB Tweetie image in Versafine Black Onyx Ink and heat embossed it with some clear embossing powder. 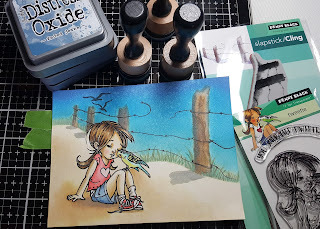 I then masked off the girl's head and bird, then stamped the PB Snow Fence stamp in Antique Linen Distress Ink, focusing mostly on the posts and the grassy line of the hill. The stamp originally was made for a snowy landscape, but it easily converts to a beach-like fence as well. I used many different browns and grey Distress Inks on the fence posts, then once they were dry I masked off the line of the hill while I worked on coloring the sky. For that I switched to my Distress Oxide Inks. I blended Broken China, Salty Ocean, and Faded Jeans then misted the sky with some DIY shimmer spray (I use 70% alcohol for quick drying and some silver mica powder from Finnabair Art Ingredients, but Perfect Pearls works great, too!). 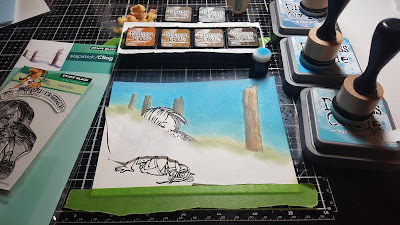 Next I removed the masking off the hill and first blended Antique Linen Distress Oxide Ink onto the sandy areas, then water-colored the shadows on the posts and the shadowy areas around the girl with Distress Inks. I then water-colored the girl and the bird with Distress Inks and Oxides as well. To get the black barbed wire stamped, I had left the fence stamp on my Stamp Platform so that I could go back later and stamp that part of the image in black. With the masking back in place, some of the wire didn't stamp well, so I just used my Faber-Castell PITT artist pen to fill in where it missed. I then stamped the sentiment from the Thoughtful Poppies stamp from The Ton and the Sea Gulls from Inkadinkado's stamp Coastal in Versafine Black Onyx ink. Lastly I worked on the grass, using both Distress Inks and Oxides to achieve a satisfactory look. I mounted my watercolor creation using plenty of foam adhesive from 3M Scotch to keep the panel flat on my Strathmore Creative Cards (white with red deckle). In the end, I decided to trim down the card a bit, cut off the deckle edge, and use a lightly patterned red washi tape around 3 edges of the card base to coordinate with the red clothing on the little girl. That completes my card for today. I hope you enjoyed it and perhaps learned some new techniques along the way. 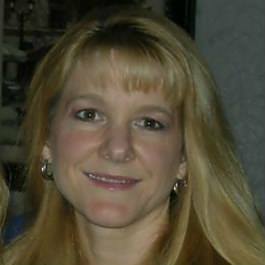 I will include a list of supplies and a link to The 7 Kids Crafting Supply Store at the end. Also, if you want to see more of my card creations, Instagram has the largest collection of my works. You'll find me as jktaylor911. Thank you and I hope warm weather greets you sooner rather than later. Hugs!! Penny Black Stamps, "Tweetie" and "Snow Fence"
The Ton Stamp "Thoughtful Poppies"